Winchester USA 9mm NATO 124 Grain Full Metal Jacket ammo for sale online at cheap discount prices with free shipping available on bulk 9mm NATO ammunition only at our online store TargetSportsUSA.com. Target Sports USA carries the entire line of Winchester ammunition for sale online with free shipping on bulk ammo including this Winchester USA 9mm NATO 124 Grain Full Metal Jacket. 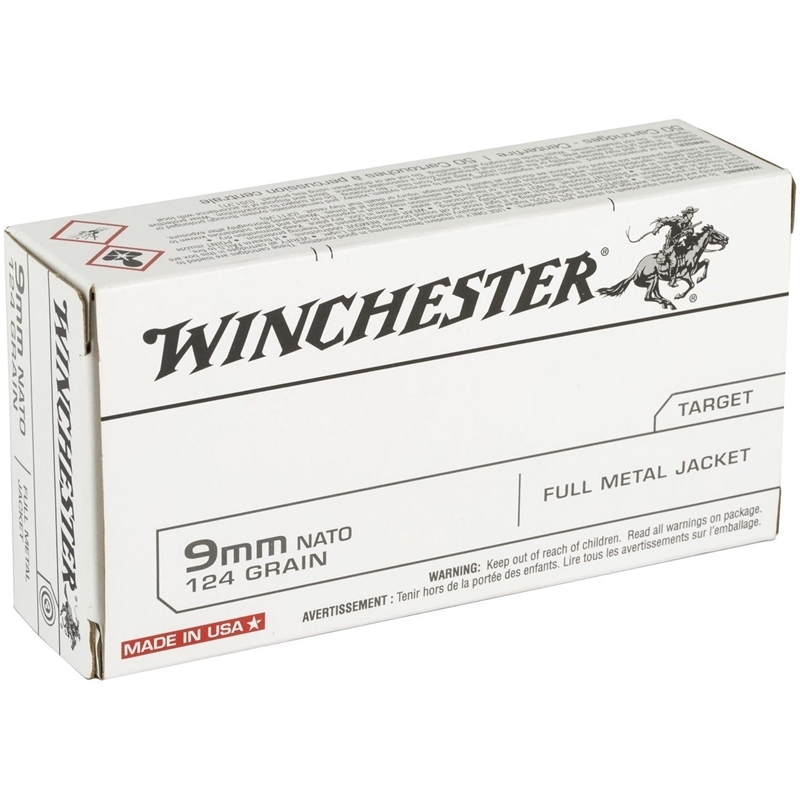 Winchester USA 9mm NATO 124 Grain Full Metal Jacket ammo review offers the following information; Founded in 1866 in New Haven, CT Winchester is as American as apple pie. One of the most commonly used manufacturers for a wide range of shooting needs, Winchester USA is an outstanding pick due to its reliability, consistency and durability. From the start Winchester was one of the top designers of rifle ammunition and were the first to introduce some of the top rifle calibers that are still used by marksmen today. Similar to the rifle line, this 9mm Luger is prime example of the quality and care that goes into Winchester ammo. Loaded with a full metal jacket bullet, which is known for its positive operating and extraordinary accuracy, this 9mm Luger was developed for high volume shooters. 9mm Luger ammo by Winchester is a reloadable, non-corrosive ammunition that features brass cases and Boxer primers. Winchester packages their 9mm luger ammo in boxes of 50 and cases of 1000. Winchester USA ammunition was developed to provide excellent performance at an affordable price for the high volume shooter. Always good hot ammo. Especially since they increased the FPS to 1200. Response:Hi Ivan, this NATO Spec Winchester USA 9mm Luger NATO 124 Grain Full Metal Jacket ammunition is definitely hotter then the regular SAAMI spec, however not as hot as the +P loads. Thank you for visiting Target Sports USA. Winchester ammunition and guns for sale online at Target Sports USA. We, Target Sports USA, carry the entire line of Winchester products for sale with free shipping on most items. Winchester product lines include Winchester USA ammo, Winchester Supreme Ammo, Winchester PDX1 self defense ammo, Winchester Super-X hunting ammunition and many many more. Order any case of Winchester bulk ammo at TargetSportsUSA.com and shipping is free. Target Sports USA also sells Winchesters newest product lines of ammunition such as Winchester Train & Defend Ammo, Winchester Win 3Gun Ammo, Winchester Win 1911 ammo, Winchester Blind Side ammo, Winchester Varmint X ammo, Winchester Defender ammo, and Winchester Match ammo. For all your Winchester ammunition needs, visit Target Sports USA for the best deals on Winchester bulk ammo for sale, where when you bulk in bulk, shipping is free! Winchester ammunition products have a long history of quality and innovation behind them. Their Winchester M-22 22LR ammo as well as Varmint HE Rimfire ammo, Varmint HV and LF ammo use advanced technology to manufacture high quality ammunition for their loyal customers. To stay competitive in today's market, Winchester uses their value pack 22LR ammunition to meed the demand of price conscious buyers. Winchester 22LR ammo in bulk packs if offered in several packaging; 222 Rounds of 22LR ammo, 333 rounds of 22LR ammo and 555 Round of 22LR ammo. 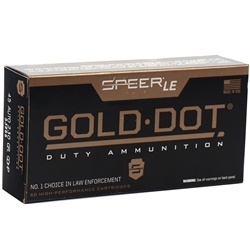 More knows lines of Winchester 22LR ammo and other rimfire calibers such as 22WMR rimfire are Winchester Expert ammo, Winchester Dynapoint ammo, Winchester Wildcat ammo. For rifle ammunition products, Winchester offers the following ammo lines; Winchester Accubond ammo, Winchester Ballistic Silvertip ammo, Winchester PowerMax ammo, Winchester Match ammo, Winchester RazorBack ammo and Winchester Safari ammo for Big Game hunting.